Doh! That's just dumb. 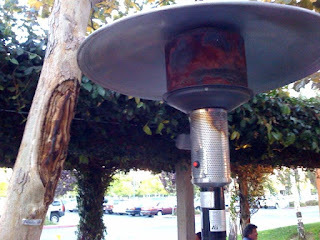 But it looks like a portable patio heater - or is it fixed? That's exactly the problem: it is fixed! Maybe I'll start a betting pool on how long till the tree fails.